Metso has received major automation technology orders from SSAB Europe and Raahen Voima in Raahe, Finland. Metso will supply automation for the Raahe steel mill's new blast furnace pulverized coal injection process and for Raahen Voima's power plant modernization to increase safety and reliability. 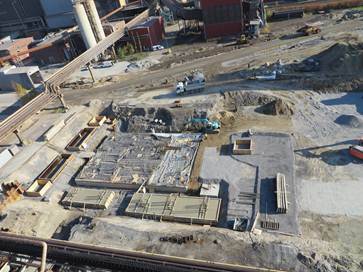 Raahen Voima is currently building a boiler plant that will be equipped with Metso's automation systems and solutions. The Raahe steel mill is currently replacing the use of heavy fuel oil with a pulverized coal injection process in its blast furnaces. The process equipment needed for coal grinding, drying and feeding will be supplied by Claudius Peters Projects GmbH, Germany. Metso's delivery consists of a Metso DNA automation system, a safety system, an information system and an extension to the existing Sensodec machine monitoring system. Field device condition monitoring is also included in the delivery. Blast Furnaces 1 and 2 already run with Metso's automation. System installation will take place in May 2015, and the coal injection process startup is scheduled for the autumn of 2015. The order is included in the 2014 second quarter orders received by Metso. Raahen Voima is also modernizing its power plant that provides electricity and steam to the Raahe steel works. The company will replace the older of its two power boilers with a new Valmet-supplied boiler plant that has a steam capacity of 141 megawatts (MW) and a fuel capacity of 152 MW. A new turbine will be supplied by Power Machines. Metso will supply an extension to the power plant's existing automation system to cover also the new boiler plant and the turbine plant. Having an integrated automation system in the whole power plant area and a common user interface makes operation simpler. Additionally, with the distributed control system and turbine automation in the same system fieldbus, system integration is trouble-free. "The DCS investment was made on economic and technical grounds. Also the customer's earlier good experience with Metso's automation and past high system availability of over 99.95% were important," says Olli Koivumäki, Sales Director, Process Automation Systems, Metso. Metso's delivery scope consists of a Metso DNA automation system for the boiler plant and the turbine, a safety system, Metso DNA Machine Monitoring and Field Device Manager for field device condition monitoring, among others. Included are also system programming, factory acceptance testing, installation, commissioning and training. System startup will take place during 2015. This order is included in the 2014 third quarter orders received by Metso. Raahen Voima is a joint venture established earlier this year by Ruukki Metals Oy, now combined with SSAB Europe, and EPV Energia Oy with the purpose of providing the Raahe steel mill with electricity and steam.